One of the things I look for each season is a new type of lure. 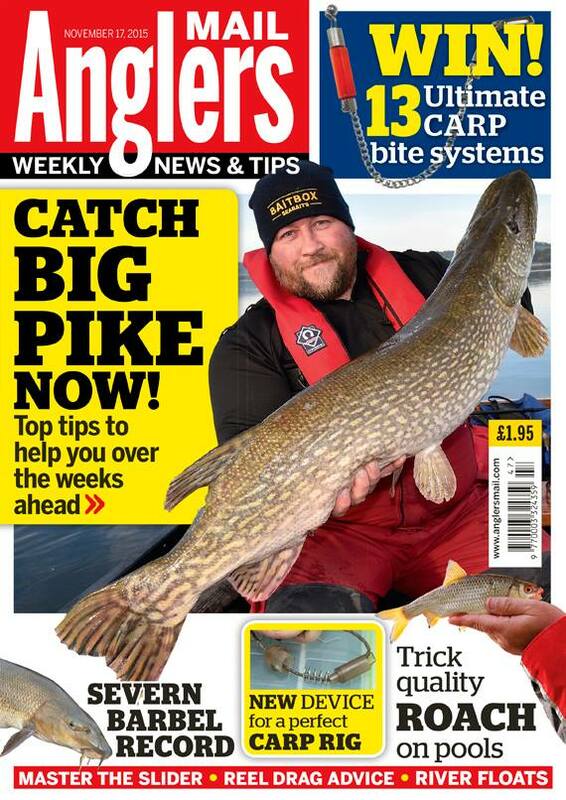 Contrary to popular belief Pike wise up to lures, and they wise up quickly – even quicker if lots of anglers are chucking the same thing. One thing that tells you that the pike in the water are wising up is you start getting bumps, or follows, rather then takes. Now this may seem alien to a lot of anglers, but if you’re getting follows, you are doing something wrong! It may be the retrieve speed, lure action, or just the fact that they have seen a lot of the same lure type – follows are more common with common type lures – reps and such like are cast by just about everyone, so the in most waters unless the fish are really “on” they will be weary of them, though the instinct to chase will still be there. I think this is why some lure anglers seem to catch a lot more than others, they observe the reactions of the fish, and don’t use the same three lures every day. 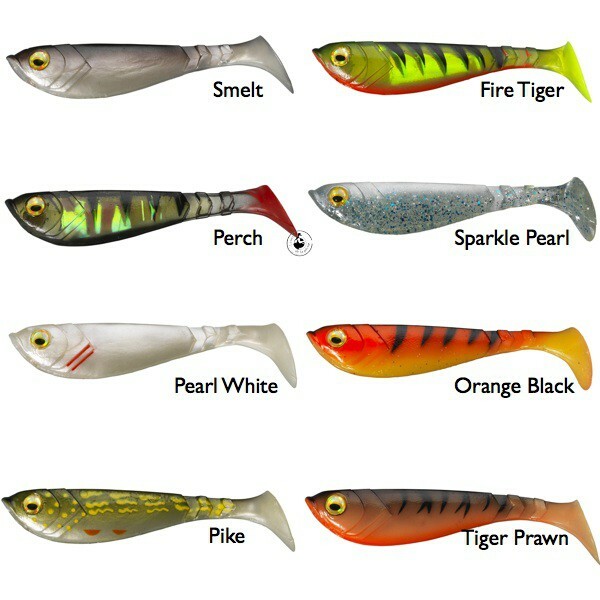 Anyway, I am always looking for a new type of lure that will still work in the zone I want it to, but with a different action that the fish haven’t seen before. So when a couple of boxes of Berkley pulse shad landed on my desk I quickly opened them, and realised I was looking at something that might suit my needs. They have an over- large paddle tail but are made out of very soft rubber. Having a deep body profile the tail causes the bait to roll on the retrieve side to side, which is very different from a lot of soft plastics – where only the tail rocks. Out in the Uluru they performed very well, with the large paddle tail creating more lift than I thought it would, which wasn’t a problem as I simply rigged them with a very heavy 50g jig head to keep them down. I used a screw-type jig head so I could mount double belly trebles. 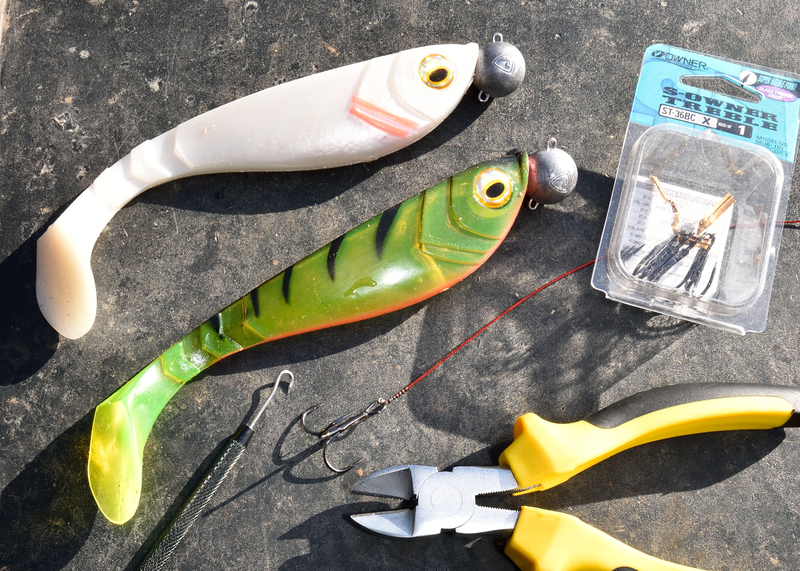 The body on these lures is very thick which is great for attracting fish as it gives a good profile, but it can be a problem with hook- ups, but with the two size 1/0 ones I have had no problems at all. The Pulse shad works really well at slow speeds as well, which is ideal for winter conditions, where a retrieve of 0.8 – 0.6 will see the body roll invoked. My two favourite colours were “Perch” which was like a translucent green with the obvious stripes, and pure white – which is “the” winter cold water colour. Having used them for a couple of months now they are fast becoming my “go-to” lure with the large 19cm versions really scoring well on the large reservoirs – I am looking forward to trying the smaller versions on the river for zander, as I am sure they will work well in low flow conditions.